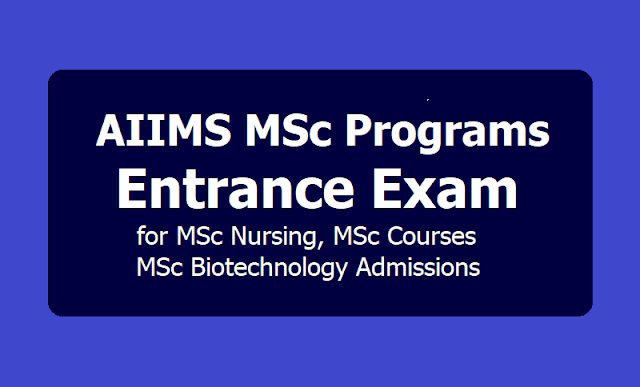 All India Institute of Medical Sciences (AIIMS) will begin their admission procedure to Masters of Science (MSc) courses from February 7, 2019, at their official website - aiimsexams.org. Registration for the disciplines-Nursing and Biotechnology in the course Biotechnology will be open. Interested and eligible candidates can register online. AIIMS will upload the prospectus for MSc programmes on March 12, 2019. The last date of registration is February 21, 2019. The results are expected to be released by the institution on February 26, 2019. Candidates can rectify the mistakes till March 6, 2019, and the final status of applicants will be released on March 1, 2019. All candidates should also note that final registrations for the M.Sc. admissions in AIIMS will begin on March 29, 2019. 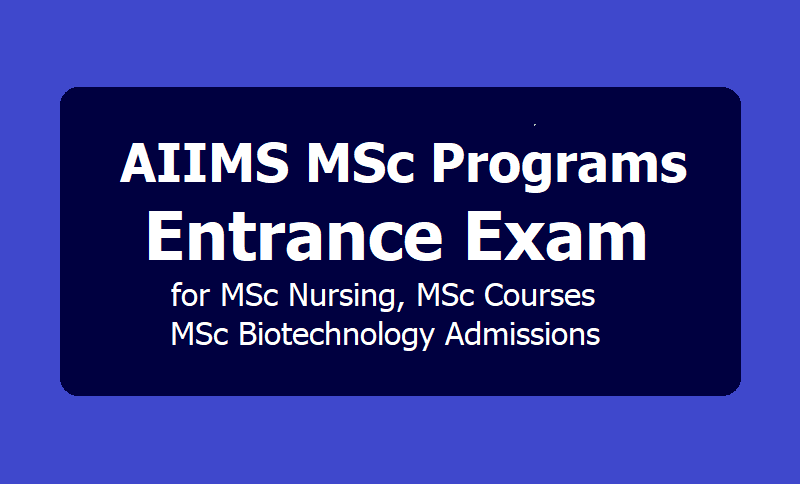 About the Nursing and biotechnology exams: The MSc Nursing exam will be conducted on June 1, 2019, and MSc in Biotechnology entrance exam will be held on June 29, 2019, by AIIMS. The admit cards for the respective exams will be released on May 16, 2019. Eligibility: Should Pass BSc (Hons.) Nursing/ BSc Nursing (Post-certificate)/ Post-basic/ BSc (Nursing). Eligibility: MBBS/ BDS/ BVSc/ B.Pharm / BSc in related subjects. (e) B.Sc. depree of minimum three years duration in any subject. (a) Perfusion Technology- B.Sc. with Biology (Botany & or Zoology) OR B.Sc. in Perfusion Technology from a recognized University. (b) Reproductive Biology and Clinical Embryology-B. Sc degree in any of the discipline related to Biology or allied to Biology. (c) Nuclear Medicine Technology- B.Sc. degree courses in Nuclear Medicine from a recognized University. OR B.Sc. degree with Physics/ Chemistry/ Mathematics from a recognized University. OR B.Sc in allied/ related subject i.e. Radio Diagnosis/ Radiotherapy from a recognized University. OR B.Sc. in life Sciences with Physics as a subject from recognized University. (d) Cardioascular Imaging and Endovascular Technologies- B.Sc. degree in Radiography from a recognized University. Admission requirements are same like other M.Sc. Courses along with B. Tech (Biotechnology). Candidate who posses the following qualifications. (i) B.Sc. (Hons.) Nursing/B.Sc. Nursing (Post-Certificate)/ Post-Basic /B.Sc. Nursing (4 years) course from any recognized University, from an educational institution Recognised by the Indian Nursing Council, with 60% marks for Gen/OBC candidates (55% marks in case of SC/ST candidates). (ii) Registration as Nurse, RN, RM (Registered Nurse, Registered Midwife) with any State Nursing Council. Basic Registration Starts from: 07.02.2019. Generation of Code for Final Registration for M.Sc. Nursing / M.Sc. Courses / M.
Biotechnology -2019 only for those whose Basic Registration is accepted. Final Registration(Payment of fees and city choice) only for those who have Generated Code for Final Registration.